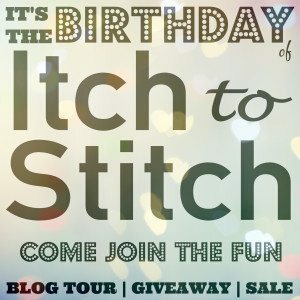 I was very excited when Kennis Wong invited me to be part of the Birthday Blog Tour, celebrating Itch to Stitch one year anniversary. 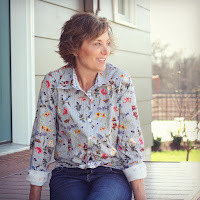 Now this blog tour had one condition.... We had to hack the pattern. How you ask? 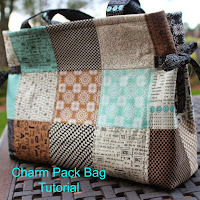 By changing it, tweaking it, adding your own design flair to the pattern. Now to my hack on the Emily Culotte. Front pockets were a must, so I redrew the front to include slant pockets. Lightened this picture so much so you could see the pocket. Black is hard to see the details. The invisible zipper was moved from the side seam to the center back seam. Can you see that little zipper tab? I did had a bit of length to the front button tab. Pattern alterations: I added a bit to the crotch length, the crotch was low on my muslin. Eliminated the front pleat per the pattern instructions. I am so very happy with the end result. I feel so trendy and chic wearing these culottes. The instructions on the Itch to Stitch patterns are fabulous and I really appreciate the layers option. Print only the size(s) you need with “layers” feature (no more mingled lines!) This is such an appreciated feature, you can just print the one size you need or two and blend the lines between sizes. 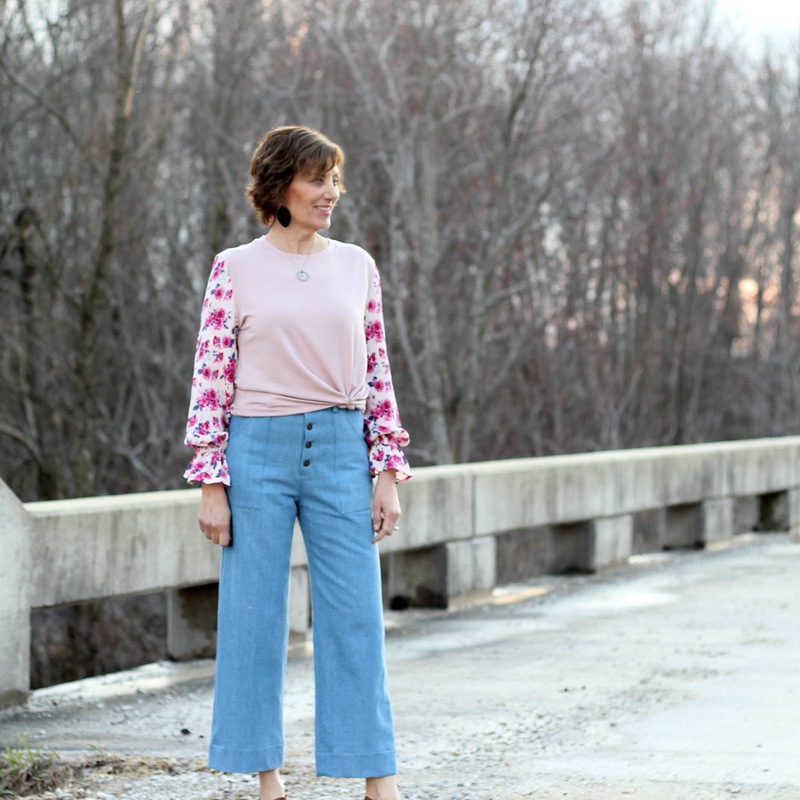 I added 9 inches to the length of the culottes. The Itch to Stitch instructions are very thorough with the adding of length and how to redraw the lines. One of the greatest pluses with a culotte vs. skirt. The wind just makes it look like pants, nice and gusty at times here in the Midwest. I just had to include this picture, it is too funny! 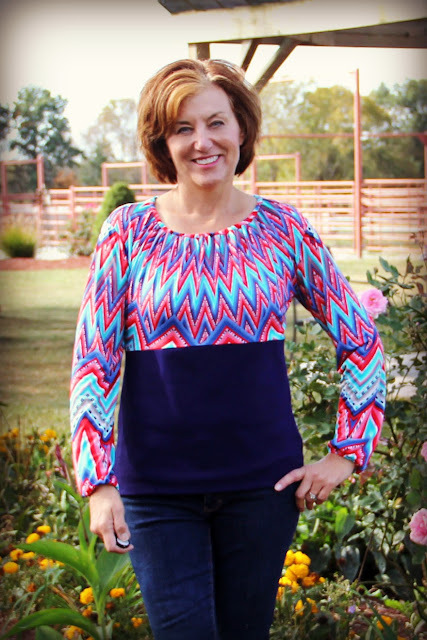 ******************************** Okay, now my Kathryn Top met the Idyllwild and became the Lori Peasant Top! 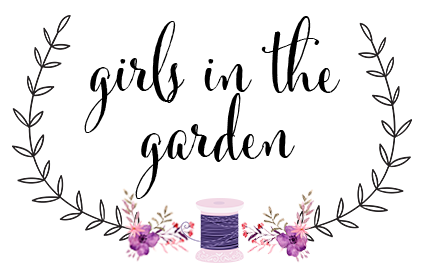 Fabric begins the adventure, an ITY Chevron and the most incredible ponte and I sew with lots of ponte. This ponte is amazing! 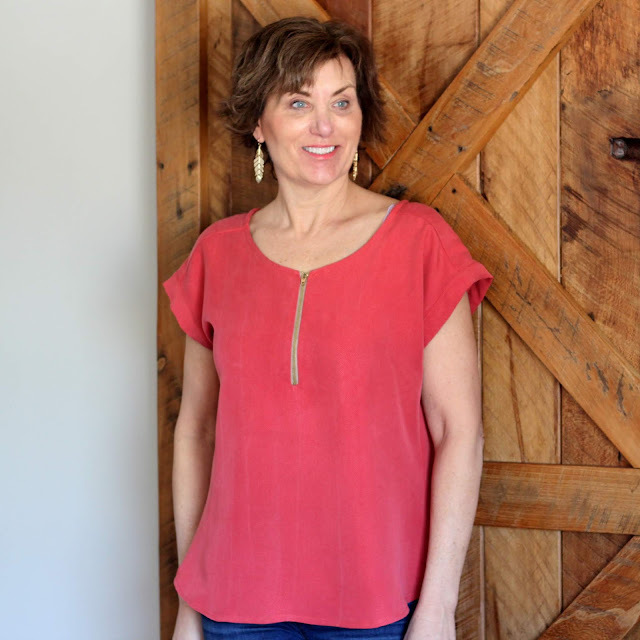 Now back to the top and my changes hacks I gathered the neckline and used the lining pattern piece to create a small neckband. I stitched the neckband in place to hold the gathers but felt like it needed bit more. I inserted 1/4" elastic to gather the neckline a bit more. 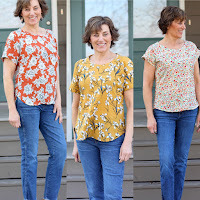 I used the Idyllwild pattern to create the armholes and sleeves. I did have to work on the armholes as my first redraft resembled dropped sleeves/shoulders. 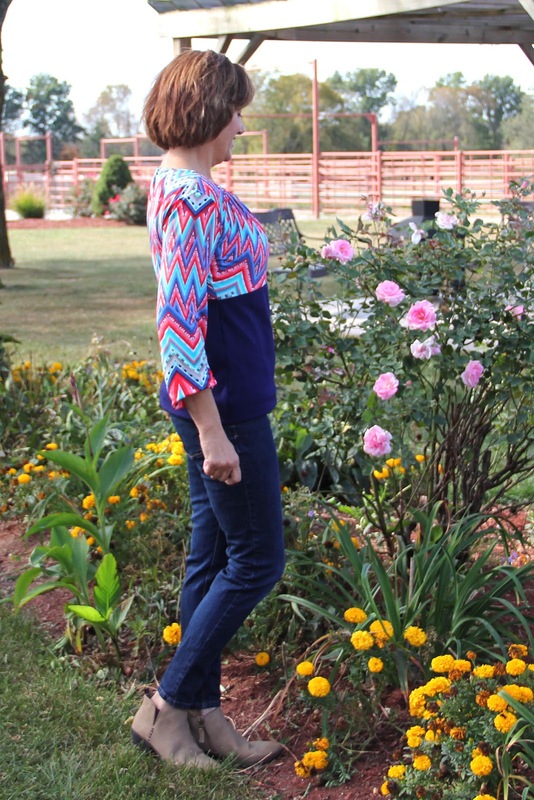 The sleeves were widened to make a peasant feel and elastic added to the hem. 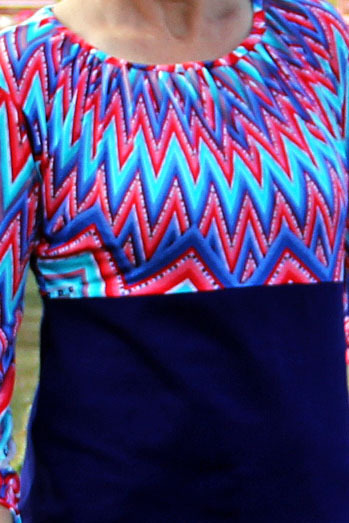 The following picture is a good look at the elastic -gathered sleeves. I was going to use the ITY knit for the entire top but it was just too much, the navy ponte helped to calm the top. 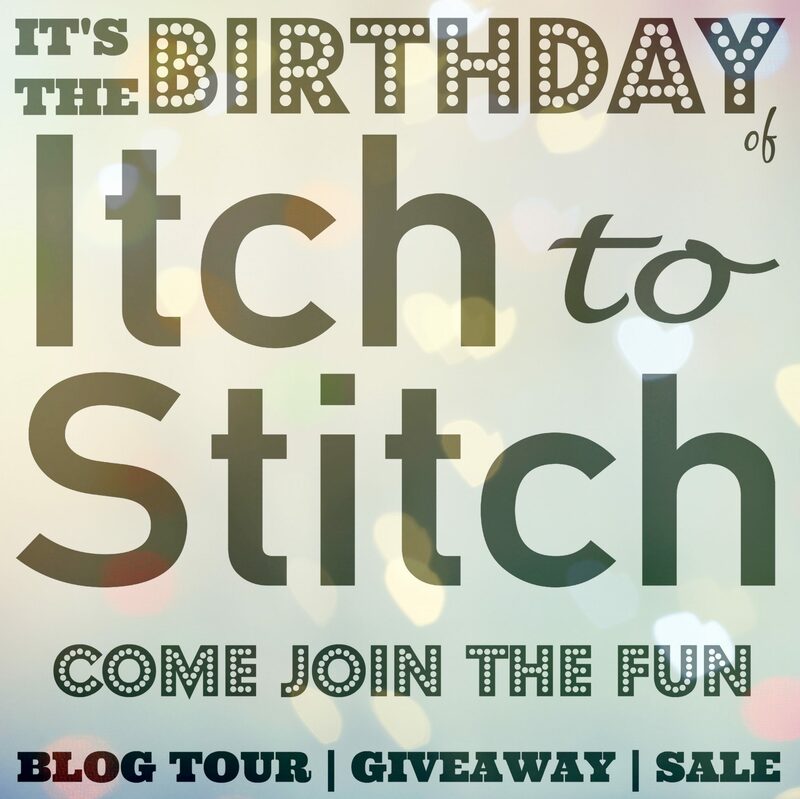 Also, check out Itch to Stich to get in on the birthday sale! Now to the fun stuff, go check out the other hacks during this Birthday Blog tour! You can also enter to win lots of great prizes by these sponsors - be sure to scroll to the bottom for your change to win. Follow Itch to Stitch's blog closely to win these patterns! So in closing Happy Birthday Itch to Stich may your second year be filled with all sort of wonderfulness and great new patterns for us! Ooh those culottes are terrific - they look so smart and chic on! Thank you, Gabrielle, I just love them! Thank you, Mary Ellen, that is exactly how I feel wearing them - so stylish. Thank you, Catherine, it is such a great pattern. Classic black and white and you wear them so well. Inspiring. 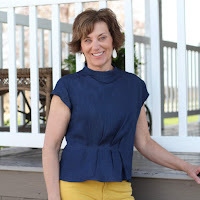 Thank you, Jean, you are right, a classic color combination. Thank you, I am wearing the shirt today and just love it so much. 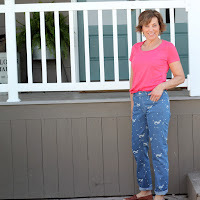 Your Culottes look great! They are on my fall sewing list too. Thank you, Joen, you will love having these in your wardrobe. They are fun to wear. Very nice! I love what you did to the culottes. I've been eyeing this pattern and looking for inspiration and ideas. Thank you, Cathy, it was an easy change but a good one for me with keys, phone, etc. 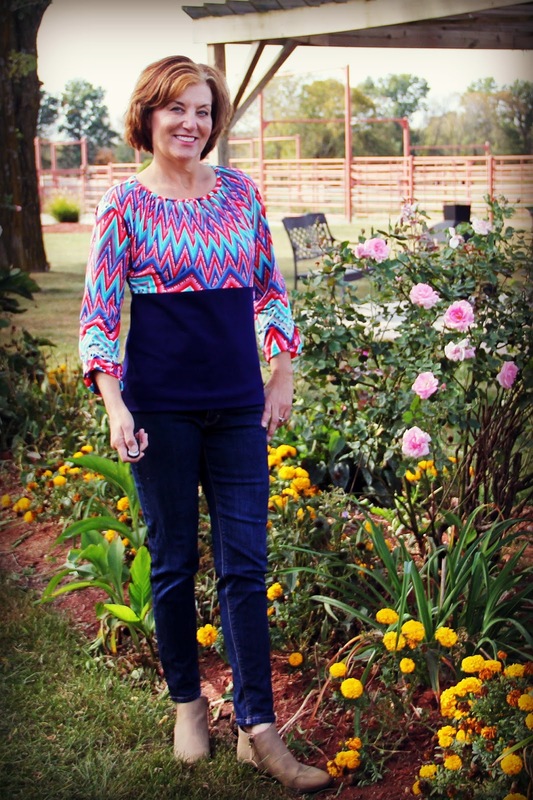 You made wonderful use of those patterns Lori. Love the culottes with the white shirt! Thank you, Faye, they are such nice patterns and I enjoy making them. Love Itch to Stitch patterns, and your versions are beautiful! Your roses are still looking good too. I am amazed with the roses, it is so dry here but they just keep blooming and blooming. Thank, I love the Itch to Stitch patterns, too. 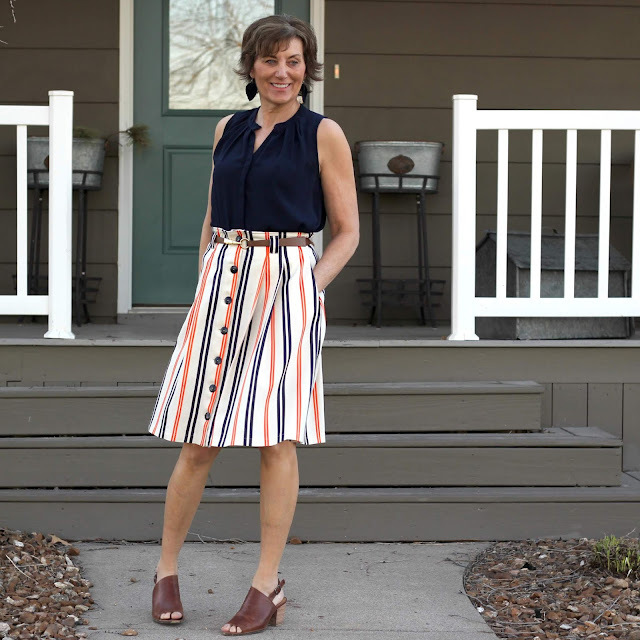 You look great in the culottes, and the picture proves they're wind-proof! Thank you, Melody, isn't that a funny picture? I absolutely adore your culottes! I have black ones on my fall project list too. Love the entire outfit. Thank you, Margo, I sure do feel stylish wearing them. The black culotte is very Classy! and the back invisible zipper just saved my mid-semester assignment. I'm a grad of a fashion institute and i was looking for culottes with back zipper and then i found this page. thank you!